First off I think coffee really has taken over my life, its all my fathers fault. That man has been feeding me coffee since I was a child. The man is nuts when it comes to coffee , he drinks copious amounts of the stuff and has passed on his love of the black stuff to me as you can see with my coffee mission etc over the past 2 months. 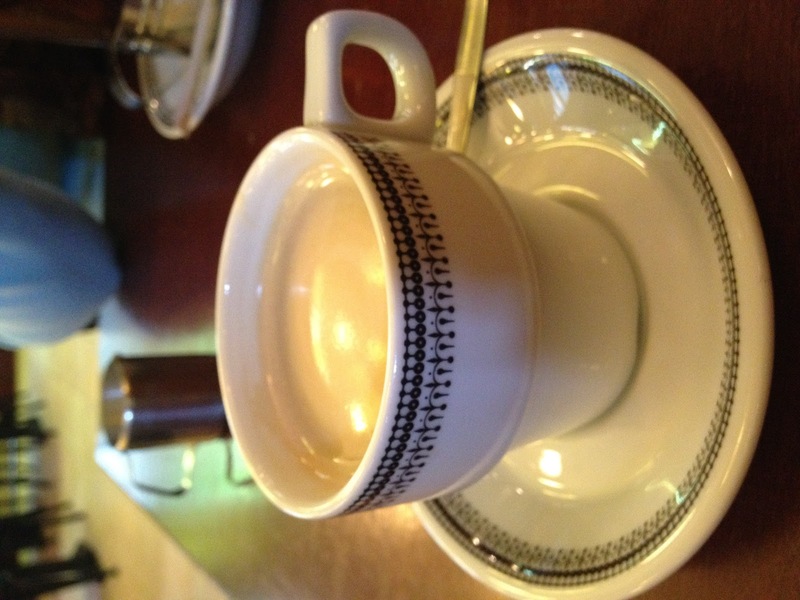 This post is more or less a narrative on diffrent coffees I had whilst on holiday last week. I tried not to drink too much but when I did I took some pics of the coffee I am deemed to be good. The race among Europeans to make off with some live coffee trees or beans was eventually won by the Dutch in 1616. Pieter van der Broecke, a Dutch merchant, obtained some of the closely guarded coffee bushes from Mocha, Yemen in 1616. He took them back to Amsterdam and found a home for them in the Botanical gardens, where they began to thrive. This apparently minor event received little publicity, but was to have a major impact on the history of coffee. The beans that van der Broecke stole from Mocha forty years earlier adjusted well to conditions in the greenhouses at the Amsterdam Botanical Garden and produced numerous healthy coffee bushes named Coffea Arabica. In 1658 the Dutch first used them to begin coffee cultivation in Ceylon (now Sri Lanka) and later in southern India. They abandoned the cultivation to focus on their Javanese plantations because they didn't want to oversupply the market and drop the price. Within a few years the Dutch colonies (Java in Asia, Suriname in the Americas) had become the main suppliers of coffee to Europe. 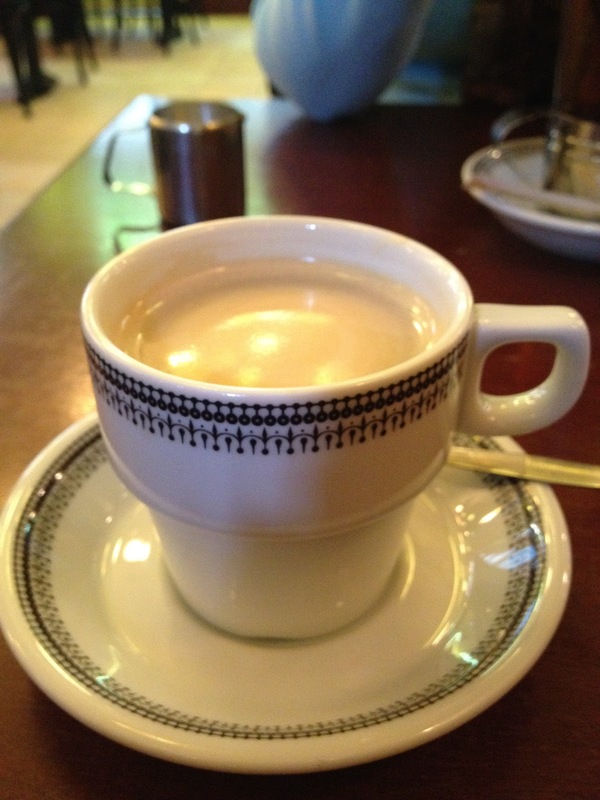 As you can see its served in a nice traditional cup, has a good crema on the top, thats a good start in my books. I love when coffee or tea for that matter are served in a nice cup or mug it makes what you are drinking all the better in my opinion. Anyhow the coffee tastes beautiful, I naturally added my Koffie Melk which makes Dutch coffee all the better. Having just arrived in Amsterdam this was the perfect pick me up to get started for the day of sightseeing. Both me and Joanne stayed at the Hotel Brouwer whilst we were in Amsterdam which I will blog about separately over the coming week. However each day with my breakfast came some good coffee in a French Press. I am generally not a fan of coffee using this method but each morning it was always good and woke me up for my days filled with shopping and touristy stuff. The Heffer is a bar at the start of the Red Light District and like the Hotel Brouwer I will be blogging on this separately, however they served amazing coffee here, served in a nice glass which is what inspired me to have Joanne :) buy me a gorgeous glass mug in Simon Levelt in Leiden. Again beautiful coffee and it looks so good served in that glass with a thick crema on the top. The coffee here at Kaldi in Wassenaar is always good, I have been going here for the past 2 years anytime I am in Wassenaar( is a village where my grandmother lives just outside the Hague). Kaldi is a cafe/store, they sell food and crockery. I love coming here just to relax and drink coffee out of their cool Bodum coffee bowls. Its also run by a friendly chap too who is always so welcoming. Well there you have it 4 of the best coffees from my trip to the Netherlands, to be honest I am still wired from the coffee but thats probably because of the coffee I have been making using my Chemex since returning.